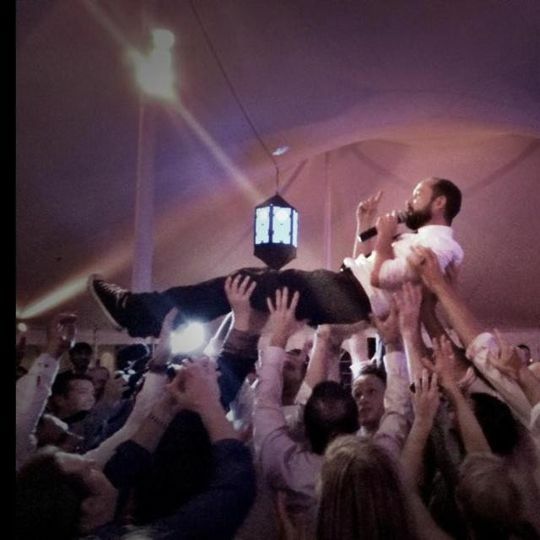 Do I Do Productions is a talent-filled wedding band located in Cambridge, Massachusetts. 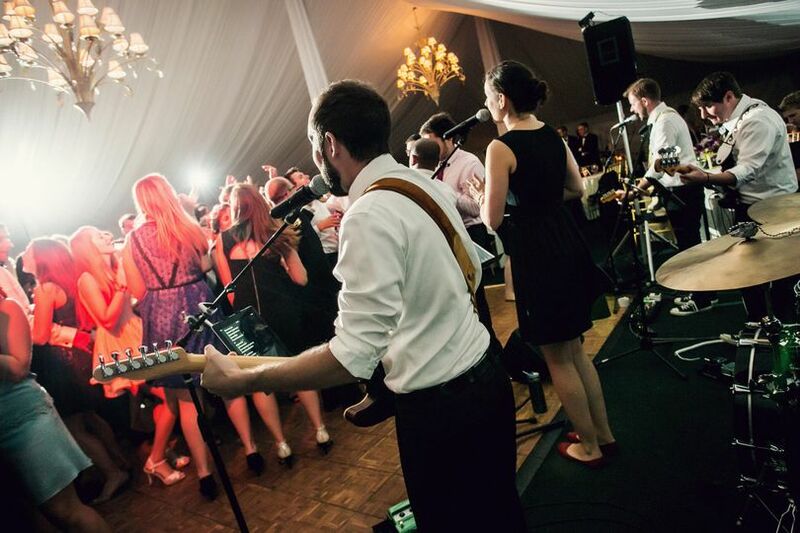 This band is capable of offering couples and their guests a very diverse list of artists and genres. Whether it be Stevie Wonder or some classic rock, Do I Do Productions delivers the tunes and entertainment. 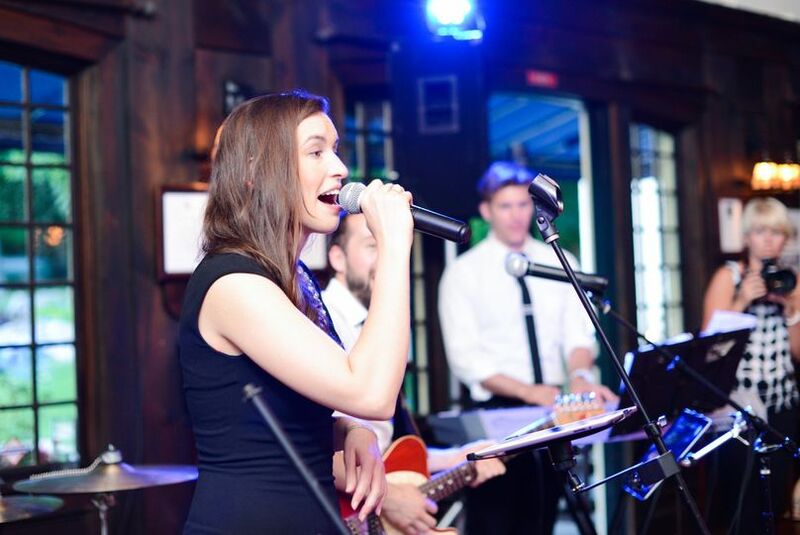 Let this band help make your special day that much more special with a custom experience. 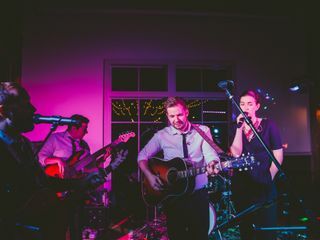 The band has shared the stage with many other well-known bands and artists, including The Backstreet Boys, Matchbox 20, O.A.R. and LIVE, to name a few. More than capable of delivering an exciting experience, Do I Do Productions has the talent, professionalism, flexibility and value couples rave about. We got married at the JFK Library in Boston over the summer and couldn't have asked for a better experience with Do I Do. 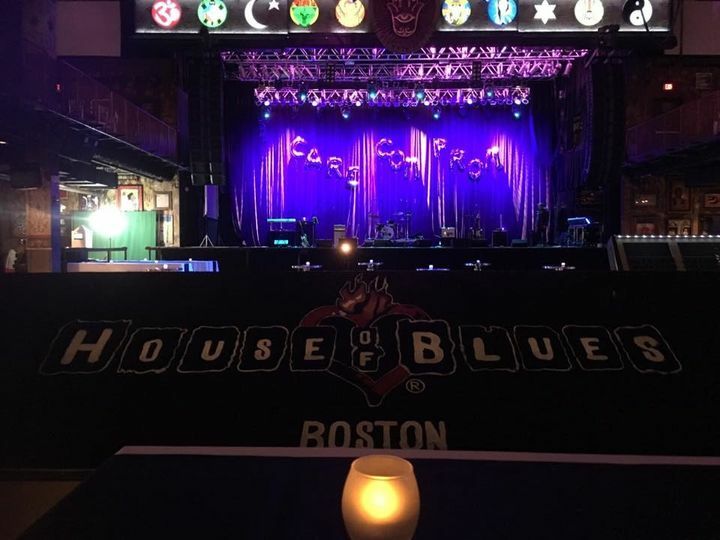 We reached out to Rocco after spending a couple months looking for the right band and not finding anything we liked (saw a couple bands live that we just didn't get a good feel for). 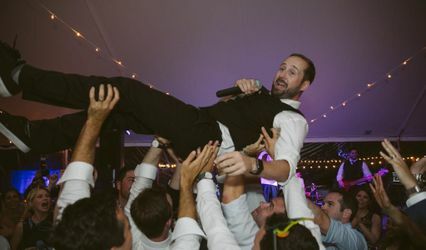 Rocco was super responsive from the get-go and made himself available for any questions we had even before we snagged Do I Do for our wedding. On top of the Rocco being personable, organized, professional, and easy to work with, he was also immensely helpful when planning out the music for the first dances - he even edited the songs down to the perfect start and stop times so that it all flowed exactly how we wanted it to (without us even telling him what we were thinking). Rocco also put us in touch with a cellist who was able to play alongside a violinist during the ceremony / cocktail hour which was exactly what we wanted. And this is all BEFORE the wedding even happened. 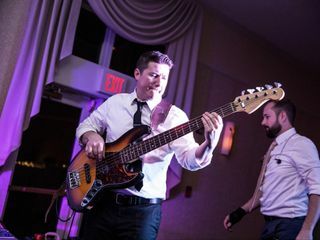 On the day of the wedding, Rocco and the band worked with the venue staff on setup without us having to lift a finger or answer any questions. 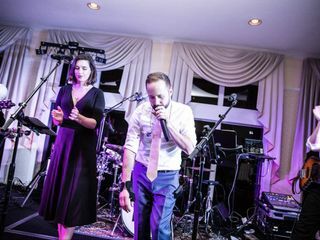 It also helped that our event planner and Rocco had worked together before so they got on without missing a beat. We organized the evening a bit different than other couples (no intros, we did a little welcome speech before dinner with our brothers giving best man speeches in between first and second course, etc.) and Rocco helped move the night along beautifully. After our speech they played a dinner set that we didn't provide any suggestions for and it was incredible. 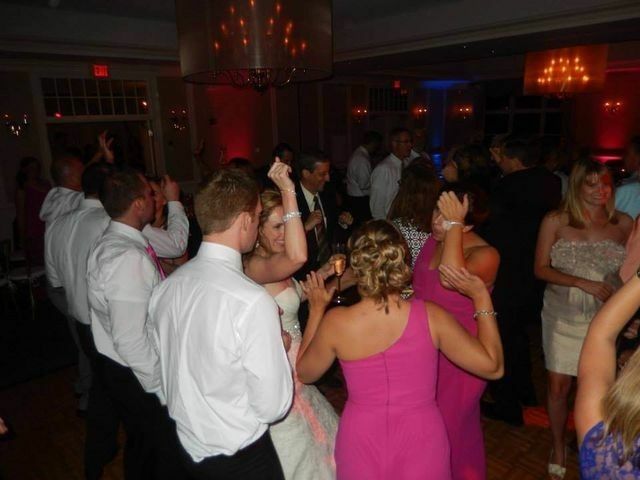 They unknowingly played one of my husband's favorite songs during dinner so even before the dancing started we knew it was going to be a blast. After dinner, we did our mother/son dances and then our first dance which led right into opening up the dance floor to all our guests. From then on they played everything from pop (even brand new songs that had just come out over the summer) to rock to hip hop (Rocco raps the Jay-Z verse in Crazy in Love which we didn't expect!) and everything in between. 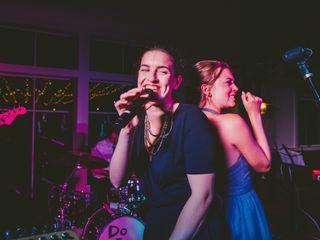 Honestly the TL;DR version of our review is that we're so lucky we stumbled onto Do I Do's website when planning our wedding and it was so fun, easy, and stress free working with Rocco and his band. They're all stars and we'll always remember dancing the night away with our family and friends because of Do I Do's serious talent. 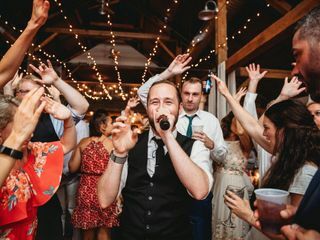 Bonus point: they played a killer Prince medley which our guests freaked out about and couldn't stop talking about the next day. 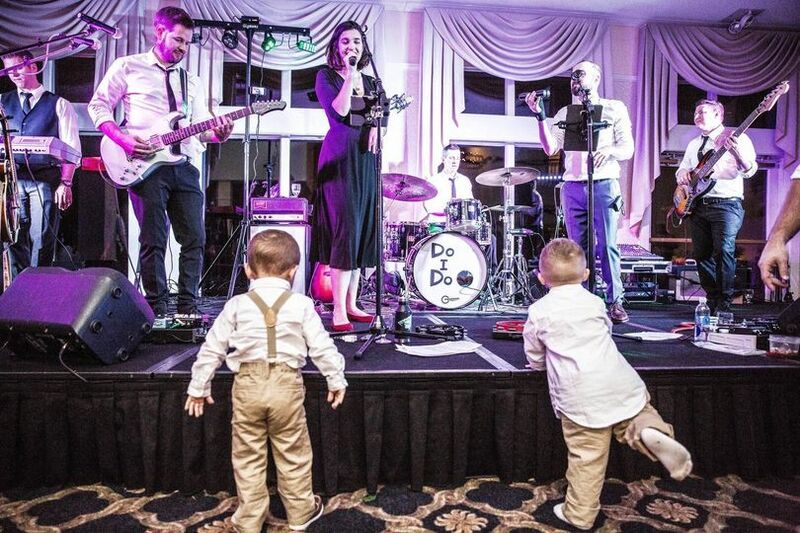 We had such a great experience with Do I Do. 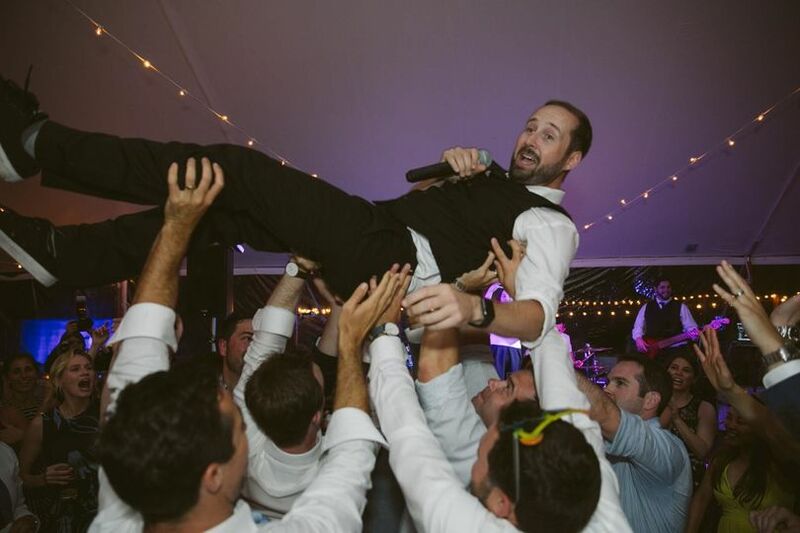 From the start, Rocco was welcoming, enthusiastic, and he demonstrated a professionalism and passion that translated into the quality of the night. He made sure we had everything we needed for the ceremony as well as the reception. Then, he and the rest of the band kept energy high and building throughout. Our guests loved them! Do I Do has so many songs in its repertoire--classic, alternative, and recent hits--which was exactly the mix we had hoped for. 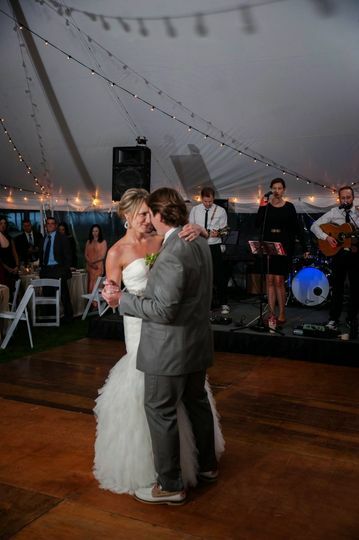 They took our suggestions and crafted a perfect set list that kept everyone dancing until the end of the night. 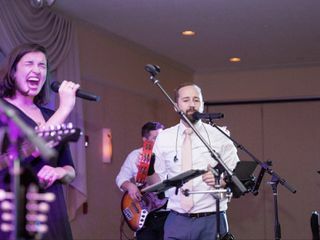 We would highly recommend them to anyone looking for an accomplished cover band to play their event. 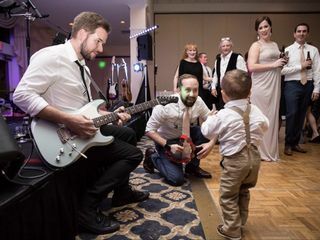 BOOK THIS BAND. Stop doing whatever else you're doing for wedding planning because none of it matters if you don't have Do I Do. They're easy to work with, etc., but most importantly they throw one hell of a party. Dana!! We had such a blast with you and your family and crew! So great to see some familiar faces! I hope to see you and Chrissy soon! End of summer discount!! 10% off your total cost! !